Neurosys is one of our biggest packs to date! This XL sized pack gives you all the tools and elements you need to make spinechilling and nervenumbing Neuro dnb / Neurohop / Dubstep / Drumstep. You will be stunned by the sonic content of this pack, as it will teleport you beyond the outer edges of the Neurofunk time-space continuum itself! This is Neuro with a capital "N". 500 (!) automated and modulating bass one-shots + 100 extra long (dry) bass notes for maximum flexibility, to aid you in crafting your own sick bass loops. To top it all off, we have included in the bundle 5 fully modular, linked, Neuro racks for Ableton to create insane, out of this world sounds. "For me, the most important thing to look for in a sample pack is usability. This pack is definitely very usable, everything not only sounds very slick but is something you could actually fluidly use in a track. The drum sounds are punchy and have character to them, the FX and atmospheres sound very clean too. The sheer amount of bass samples in this is pretty impressive and they work really cohesively together, unlike a lot of packs that would leave you hacking away at 2 samples to make one bass sound. This pack will definitely be seeing some action from me!" "What I love the most about this pack is great selection of quality one-shots rendered in one single key. These are the sounds most producers are looking for in the packs, and quality of these particular sounds is really stunning. With almost no processing You can get satisfying results in a no time - just fire them up into your sampler and see by yourself. I know I'm definitely gonna be using some of these in my further productions. Great stuff!" "Quality sample pack. Everything is here to do a sick track. Loads of different basses, drums , fxs & atmospheres sounds with really good treatments. Ableton Modulation Racks are the +! For sure, I will use it for my next projects!" "I can imagine using almost every drum sample in here and I think almost every neurofunk producer would say the same. I love the long bass shots - so you can play with it more (lot of sample packs have only really short samples). Atmos and FX are also quite nice, but really the strongest part for me here is the killer drums!" 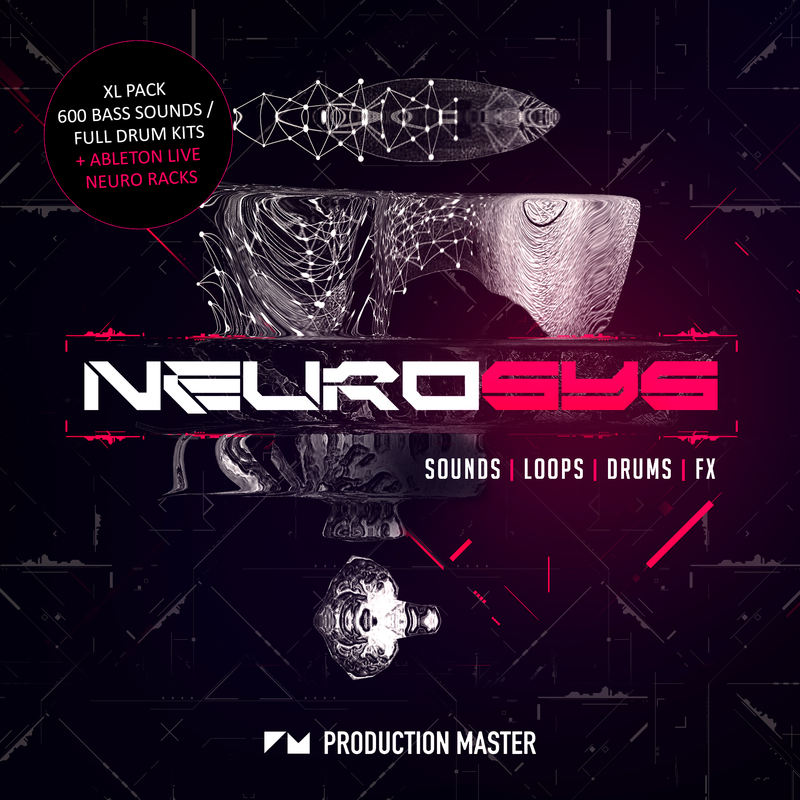 "The Neurosys sample pack is really stunning, quantity and quality throughout! We found pretty interesting the one shot folder: just pick a few sounds, slam them into kontakt and you are already in neuro modulating heaven. Long bass notes leave to the producer some room for his own tweaks, and the drum sounds are pretty useful for different genres. All in all a top product!"